Koh Phangan may be known for its beautiful beaches and killer sunsets, but this dreamy Thai island is also a popular one for its immense (and delicious) cuisine scene. 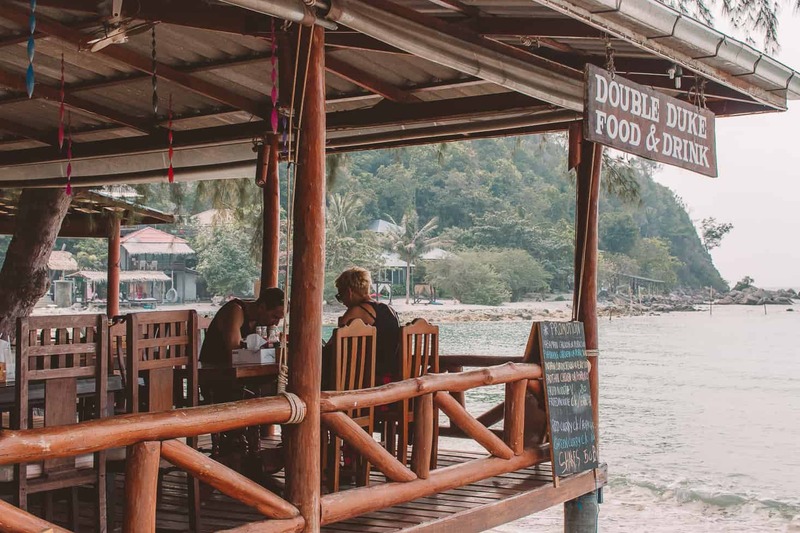 From cheap, local eats to restaurants serving up international favorites with views that can’t be beaten, here are our favorite Koh Phangan restaurants! Enjoy delicious food from incredible heights at Bluerama. 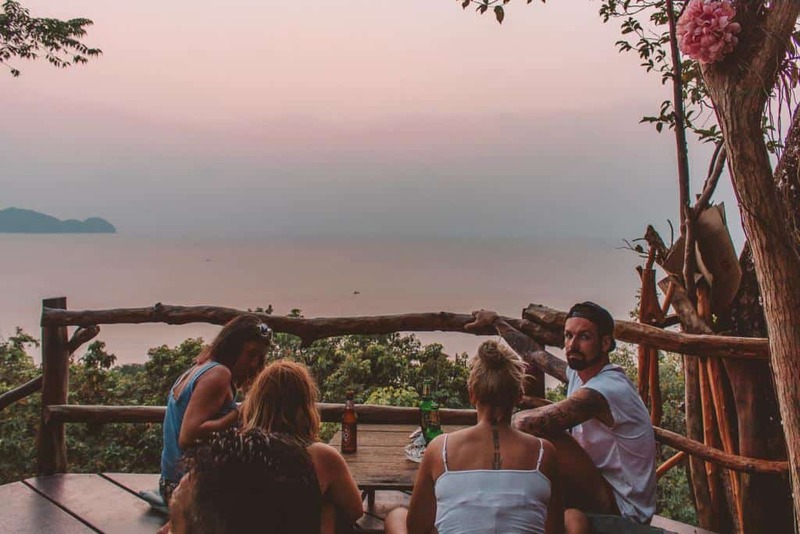 This rooftop bar and restaurant offers hungry diners some of the best views on the island. 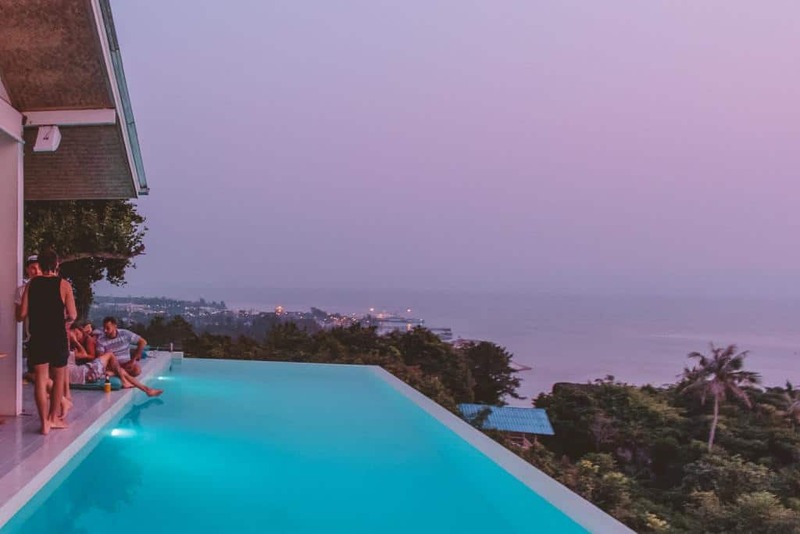 These are best enjoyed while swimming in their incredible infinity pool that looks out over the shimmering Gulf of Thailand. 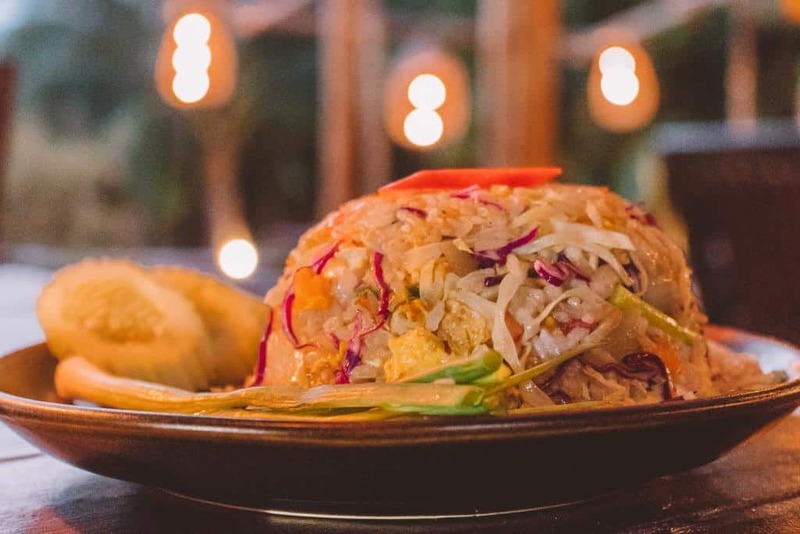 Bluerama’s menu consists of tapas, starters, mains, and desserts, and while the venue looks super luxurious, it is also surprisingly affordable. Most meals are under $15 and, of course, the views are free. 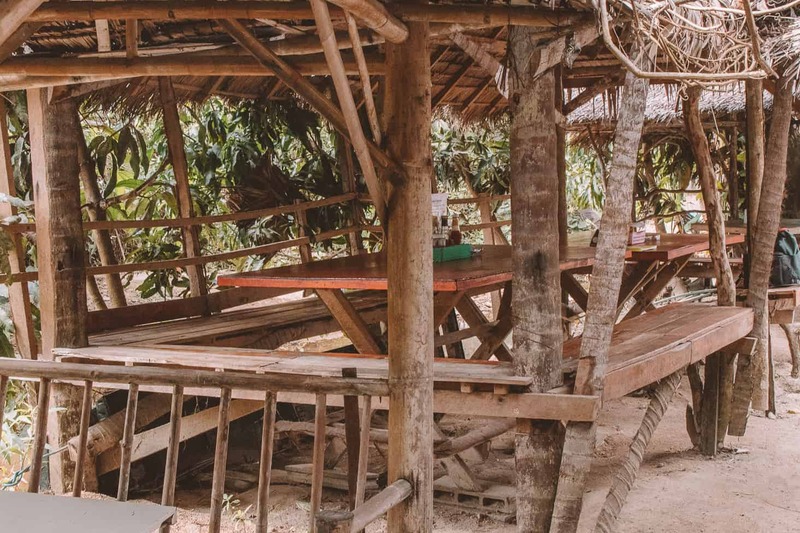 Hours: Daily from 7 a.m. to 11 p.m.
Venture to Ban Tai Beach to eat and chill at Fisherman’s Restaurant and Bar. 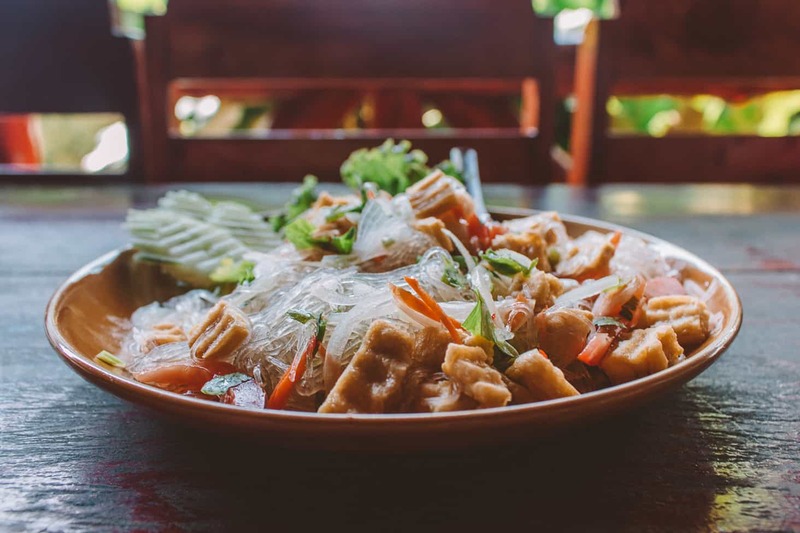 The venue will take you on a culinary journey as they delight all those who visit with their tasty Thai-style and fusion dishes. 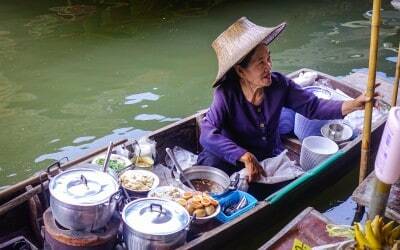 All of the ingredients are locally sourced from fishing families and are created by the talented chef Lek. Better yet, the restaurant sits right along the coast. 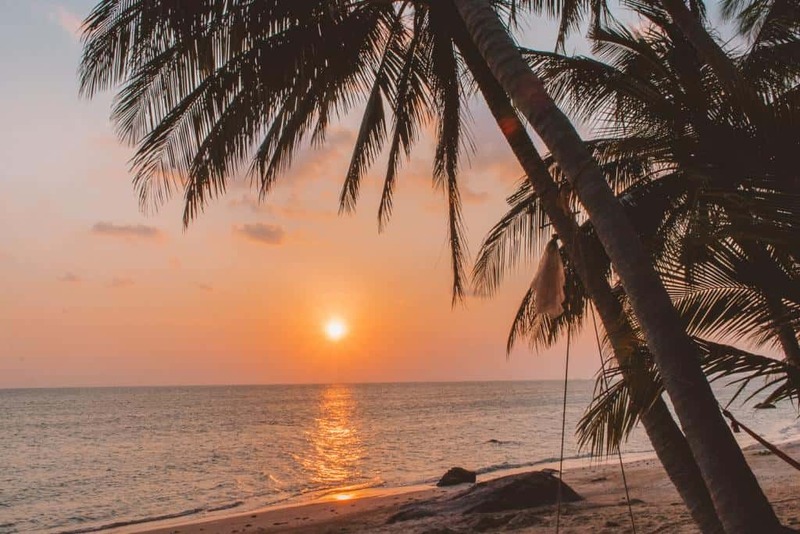 Sit inside the venue or instead grab a glass of wine and cuddle up in one of the wicker seating right on the beach. Fisherman’s Restaurant and Bar is also serving up cocktails, beers, ciders, and more. 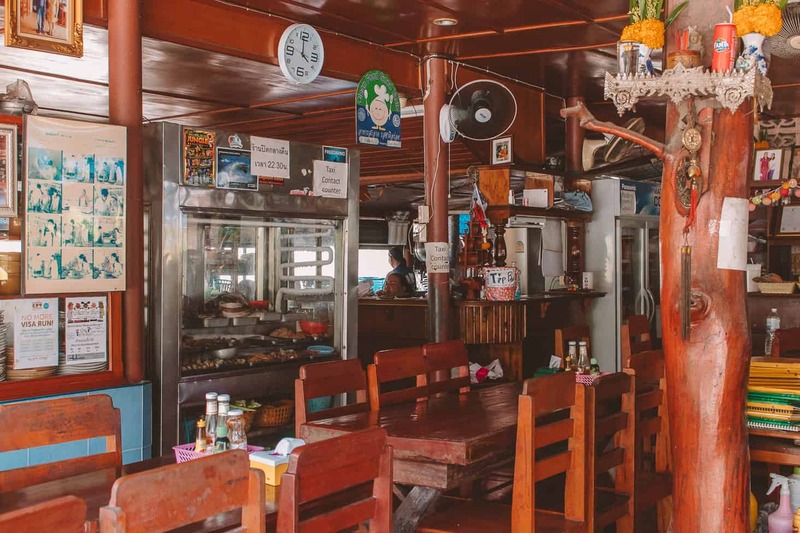 Hours: Daily from 1-10 p.m.
From the main road, this restaurant and bar can’t be seen – the only indicator that you are in the right place is the hand-painted sign informing you so. From here, visitors must climb the winding concrete steps to the top of Koh Phangan’s green mountainous terrain before finally arriving at Top Rock Bar. 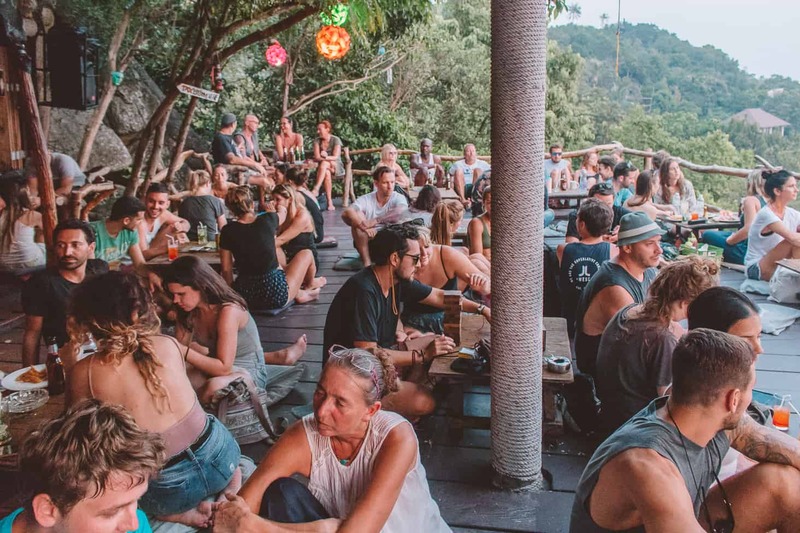 All visitors can agree, however, that the seemingly never-ending climb to Top Rock Bar is well worth the end destination! 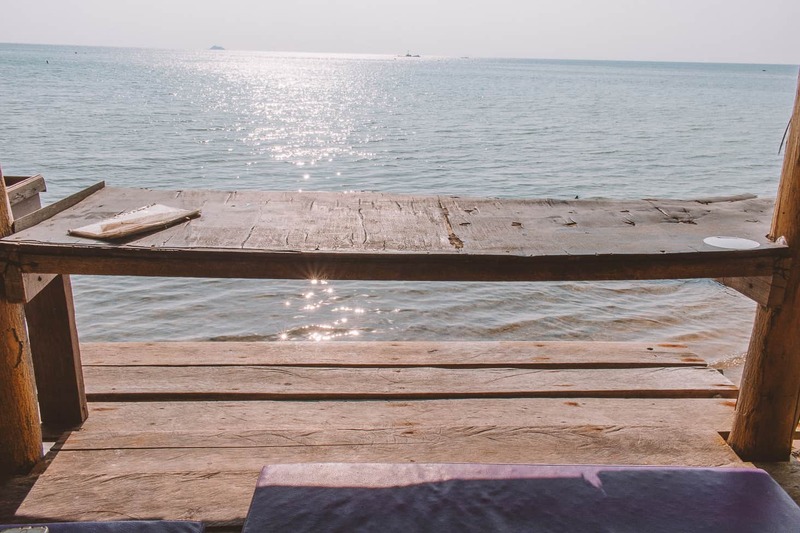 Grab a refreshingly cool Chang or instead sip down a fruit shake while you watch the sunset over the Gulf of Thailand. Be sure to get here early to get a seat as Top Rock Bar is one of the most popular destinations on the island. 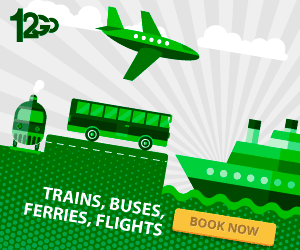 Prices are pretty standard regardless of its epic location, as well. Calling all vegetarians! This one is for you. Eat.Co is a small, vegan bruncherie that sits just across the street from the beach. 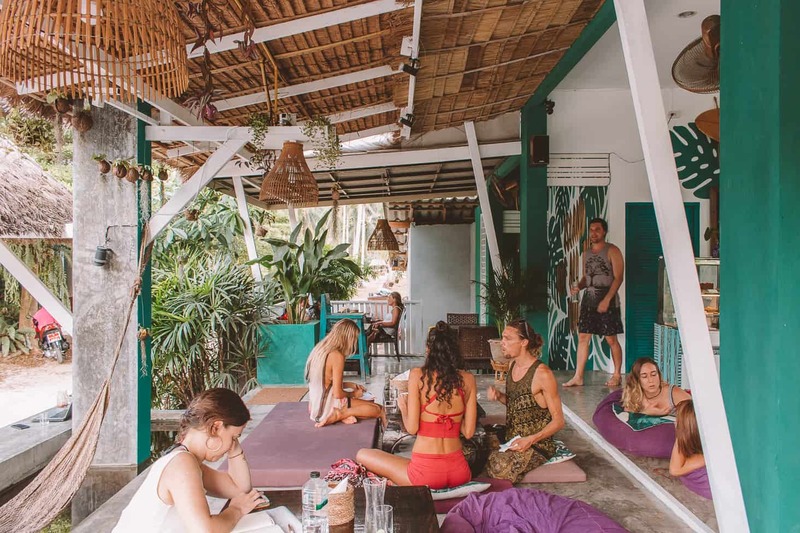 This vegan and vegetarian restaurant is one of the healthiest on the island, making it the perfect spot to have lunch whilst nursing that Koh Phangan hangover. The restaurant is adorned with bright green walls and wooden seating arrangements that looks more like tree stumps than seating, which really adds to the vegan vibe. 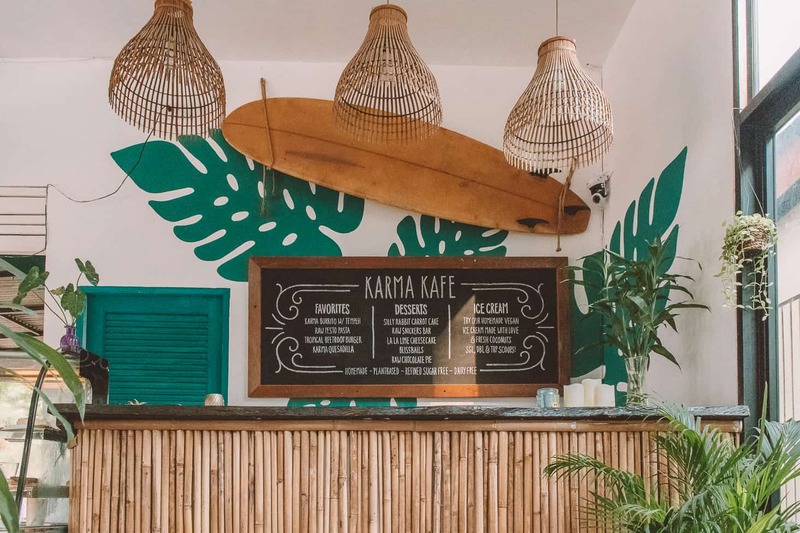 Visitors can enjoy watching the palm trees blow in the breeze while enjoying a vegan breakfast, sandwich, wrap, pasta, brunch bowl, juices, and more. Prices start at around ฿100, and the portion sizes are surprisingly large. 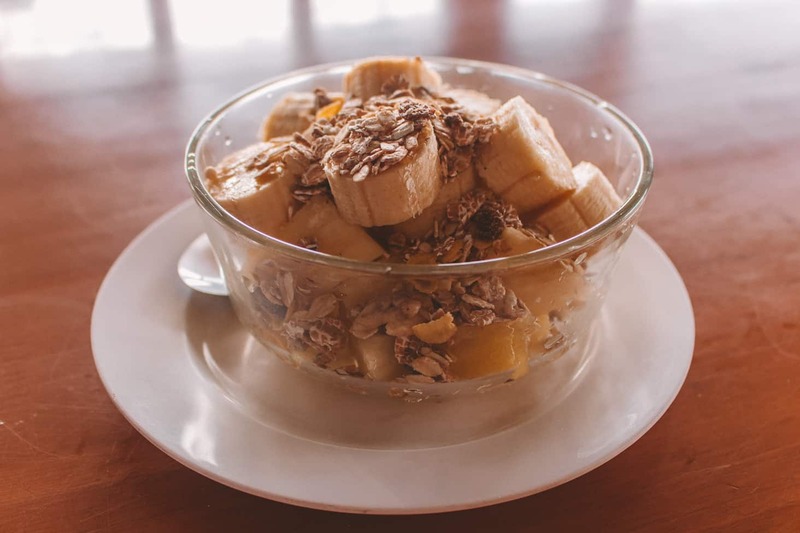 Arrive early and indulge in a smoothie bowl, like the delicious chocolate one, made with banana, dates, cacao, and coconut milk before being topped with fresh bananas, chia seeds, homemade granola, and coconut flakes (฿180). 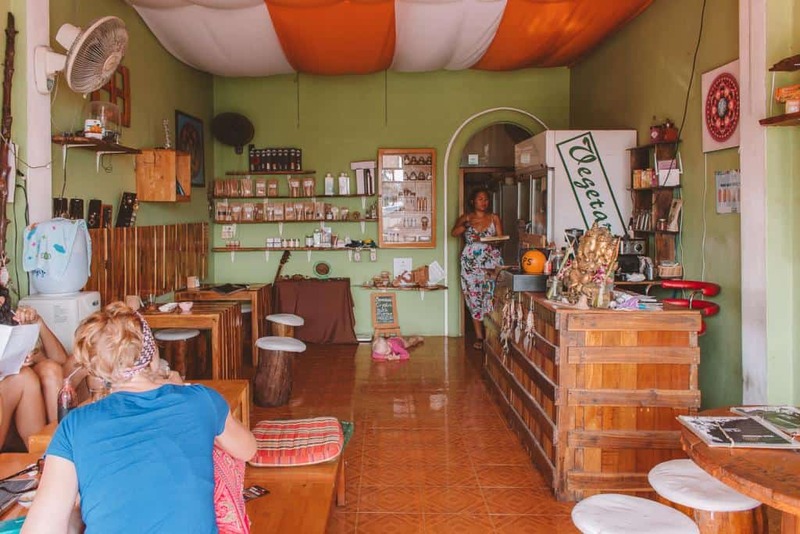 The restaurant also sells vegan treats like raw organic chocolate, as well as things like herbal shampoo powder, coconut oil, and other organic finds. 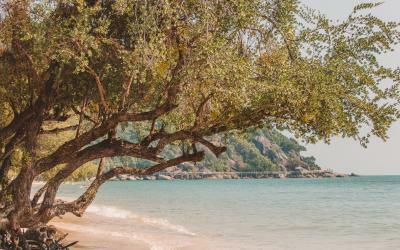 Situated on Haad Salad Beach Is Double Duke Bungalows, otherwise known as Double Duke Bungalows Seafood Restaurant and Beach Bar. This venue, though relatively small, has one of the largest selections of menu items out of all the restaurants on our list. If you get here early, be sure to sample one of their breakfast items, like their muesli with fruit (฿80). There are also fresh salads, snacks and starters, sandwiches and burgers, European-style soups (you read that right), and so much more between the tasty pages of Double Duke’s menu. Arguably the best part about this venue is its great location. No matter where you are sitting, you will dine with the waves crashing along the shoreline and the Gulf as your backdrop. Hours: Daily from 8 a.m. to 11 p.m.
Bubba’s Coffee Bar is one of the most popular restaurant and cafe duos on the island. The staff is friendly, the service is speedy, and the music is mellow and inviting. Kick-start your meal at Bubba’s Coffee Bar with a coffee ranging from ฿60-100 before moving on to one of their delicious super smoothies, salads, bagels, or tapas. 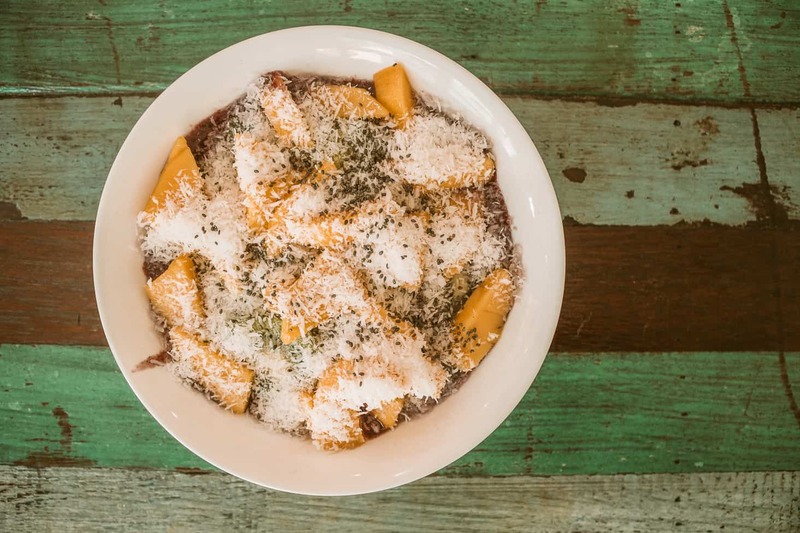 We were delighted to see an acai bowl on the menu, an incredibly rare find in Thailand, especially delicious ones! If you happen to visit Bubba’s around 5 p.m., be sure to try out one of their specialty cocktails, like their lotus martini. Karma Kafe is another vegan eatery on our list of the best restaurants on Koh Phangan. Its bright interior welcomes omnivores and vegans alike. 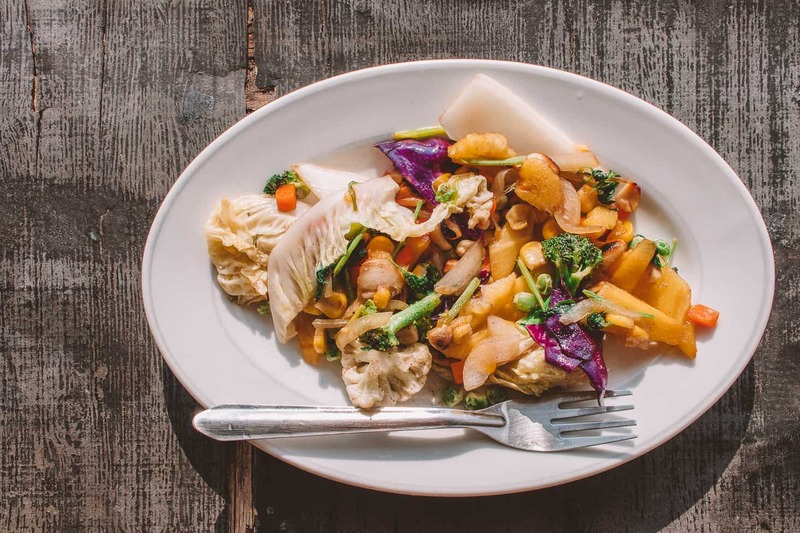 The menu consists of vegan, vegetarian, raw, gluten-free, and even sugar-free items, so you can indulge and feel good for doing so at Karma Kafe. 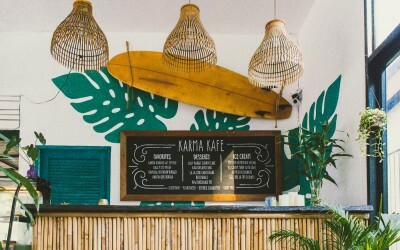 Some of their unique menu items include their tropical beetroot burger, the karma burrito, and the karma quesadilla. They also have a plethora of vegan desserts and refreshing smoothies, as well. Hours: Tuesday to Saturday from 11:30 a.m. until 10 p.m. | Sunday brunch from 10:30 a.m. to 5 p.m.
Nong View is a humble restaurant situated near Baan Thai. The venue’s modest interior does not indicate the delicious food to come. The menu is filled with delicious Thai entries that will delight every palette. There are almost one too many options to choose from, including tasty Thai salads, curries, and stir-fries. Nong View has been around for over 20 years and has impressed locals, tourists, and expats with its menu items. Hours: Daily from 10:55 a.m. to 10:30 p.m.
Mama Pooh’s Kitchen is shamelessly one of our favorite restaurants on the island. It is found in Srithanu and lacks fancy decor; it actually completely lacks an exterior. What this restaurant lacks in walls, however, it makes up for in taste. 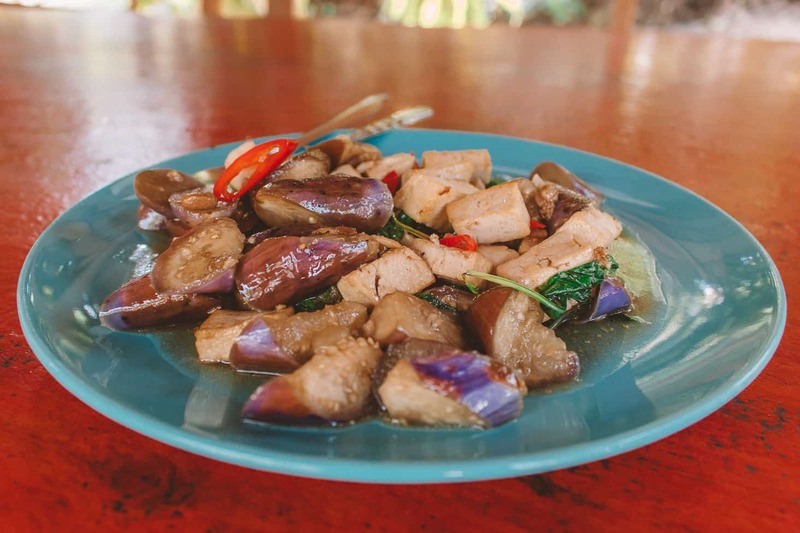 Mama Pooh’s Kitchen serves up some of the best Thai food in town and for reasonable prices. The staff here only speaks Thai, so diners must write down the number of the menu item they want. Mama Pooh’s Kitchen is serving up a few international dishes, but being that this restaurant specializes in local ones, we recommend that you don’t stray far from some of the country’s best dishes served here: Thai omelet stuffed with fried vegetables (฿100), Thai soups and curries, as well as one of their delicious stir-fried dishes. 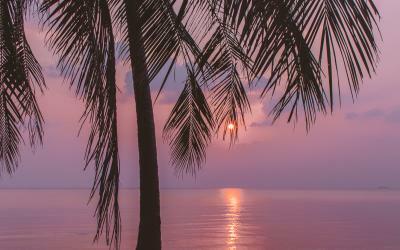 Enjoy some of the best views Koh Phangan has to offer coupled with some of the tastiest and most affordable food at Golden Rock in Srithanu. 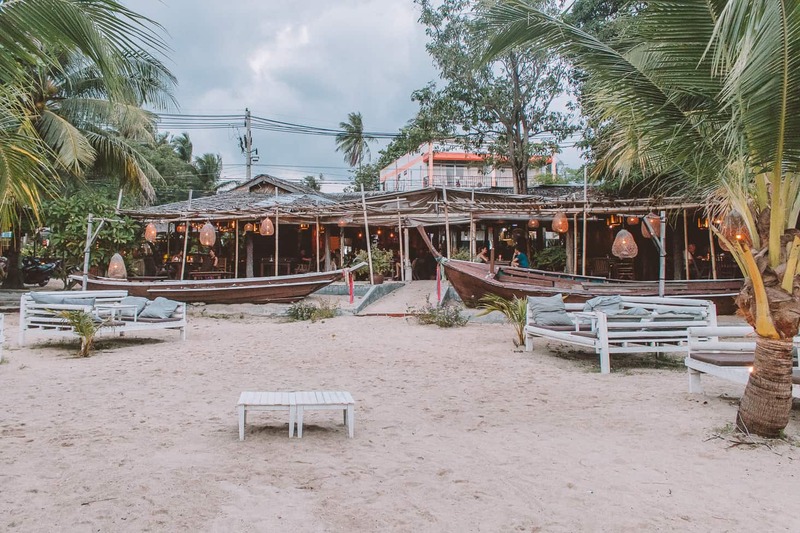 This wooden venue is found right along the Gulf; you can literally dangle your feet off while chowing down on a dish. The menu is small but memorable, and the staff is happy to mix and match items depending on your dietary needs, as well. It also doubles as one of the cheapest bungalows in town, should you want to stay at Golden Rock. 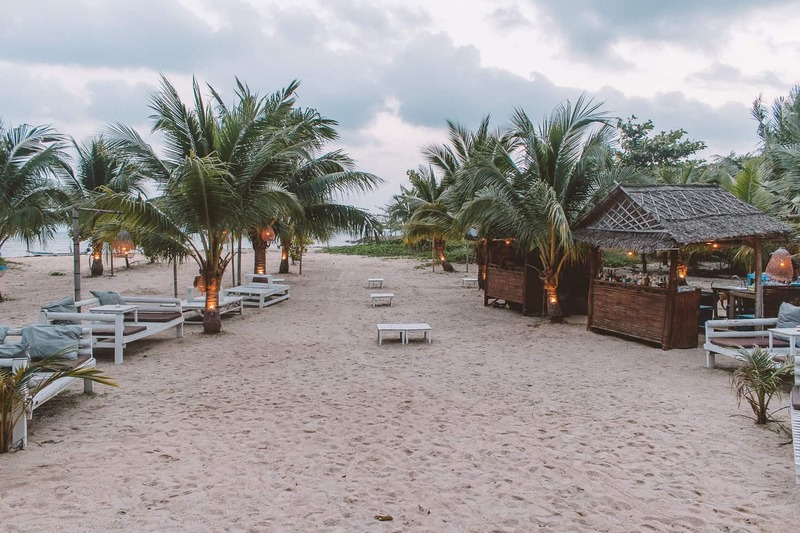 While you wait for your food, head down to the neighboring Zen Beach and take in the incredible views of the coastline. 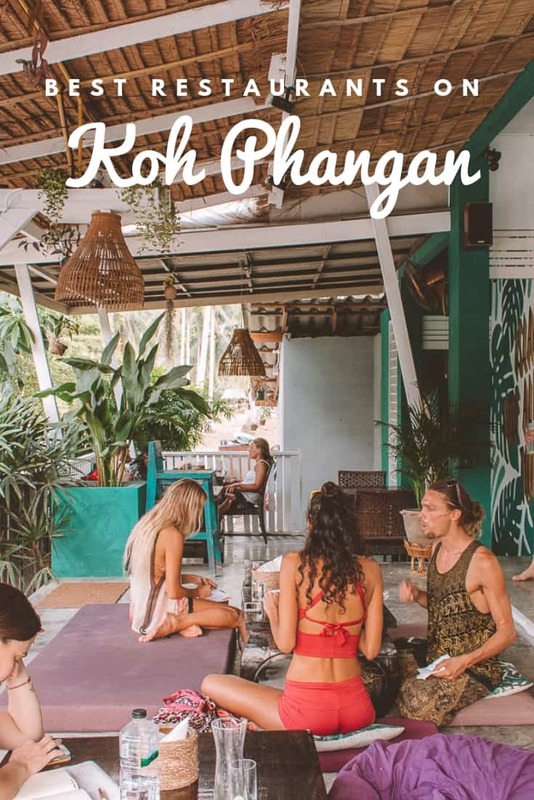 Hours: Daily from 9 a.m. to 9 p.m.
Did you love this article about the best restaurants on Koh Phangan, Thailand? 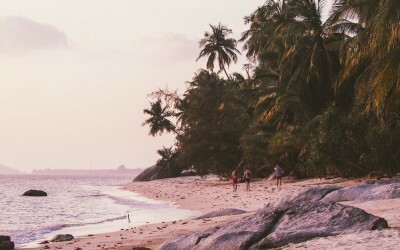 Do you want even more information on where to chow down on the island? 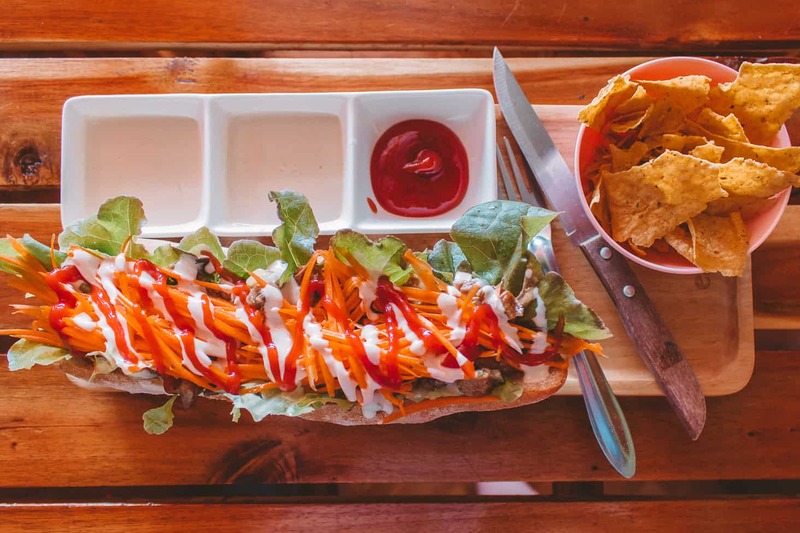 Then be sure to check out these articles we have rounded up for your viewing (and eating) pleasure. Bon appetit!